Want to get your kids on Facebook? Wondering how much you'll have to pay for a Galaxy S9 when it arrives? Need more functionality from your smartwatch? We've covered all this and more in our daily roundup of the best tech news, courtesy of the folks at TechRadar. We know that the Galaxy S9 and S9 Plus are launching a week on Sunday, the 25th of February – but how much can you expect to pay for these phones? According to a source speaking exclusively to TechRadar, the cheaper S9 is set to retail for £739 in the UK: that's £50 more expensive than the Galaxy S8, but £50 less than previous rumours, so maybe Samsung has settled somewhere in the middle. In just a few days' time we'll know for sure. Facebook has rolled out its Messenger Kids app to Android, so now more people can sign up their offspring to be part of Mark Zuckerberg's sprawling social network. If you missed the launch on iOS, the app doesn't give your children a Facebook account – it runs through yours – but it does let them instant message their friends with a few cool features. There is one caveat though, which is the app is only available to users in the US for the time being. The latest step forward for AI is being able to send your friends smart replies in whatever app you like – specifying how long you'll be, or what you're doing today, while only needing a tap or two from you. This is all thanks to a new Google tool called Reply that's currently in testing on Android, adapted from the smart replies feature in the mobile apps for Gmail. For the moment though, the app hasn't been released to the world at large. 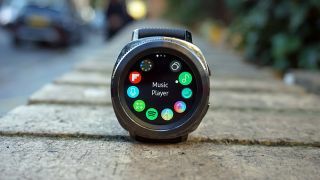 Our wearables continue to get smarter and smarter, and according to a new patent filed by Samsung, the company is currently working on a new kind of tech that can monitor your blood pressure – saving you a trip to the doctor's, it'll work with light sources and receivers in a similar way to today's wearable heart rate monitors. This is only a patent design for now, but look out for it appearing on a Samsung smartwatch in the not-too-distant future.